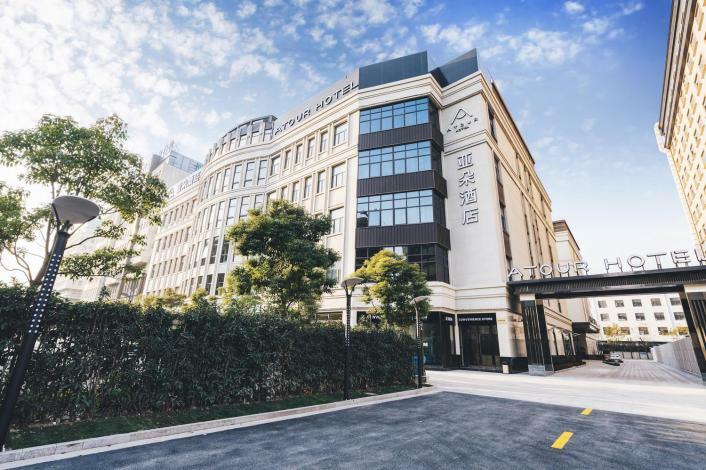 The Atour Hotel (Shanghai Hongqiao National Convention & Exhibition Center, Minbei Road) was recently opened in 2017, making it a fantastic choice for those staying in Shanghai. With the Hongqiao hub surrounding Area just 3km away, this hotel is conveniently situated. The hotel is conveniently located just 8km from Hongqiao International Airport and 8km from Shanghai Hongqiao Railway Station. National Exhibition and Convention Center is situated just 4km away. In their spare time, guests can explore the hotel's surroundings. A pickup service can be arranged for guests upon request. For guests' convenience, airport pickup can be arranged. This Shanghai hotel offers parking on site. Shanghai Hongqiao NECC Minbei Road , Atour Hotel located in Hongqiao hub area is adjacent to the NECC 2.3 km of the only 10 minutes’ drive and is only 15 minutes by car from the Hongqiao International Airport and Hongqiao Railway Station. The hotel at the entrance of the 189 bus can be directly connected to the Hongqiao Airport and East Xujing Subway Station. You can take Metro Line 10 or Metro Line 2 to the Shanghai Zoo,Jingan Temple, People's Square, Nanjing Road, Lujiazui, World Financial Center and other famous attractions and business cluster.